The main roof trusses, consisting of tubular sections, have a robust and uncluttered look, while surpassing the demands of the specification in terms of structural capacity. 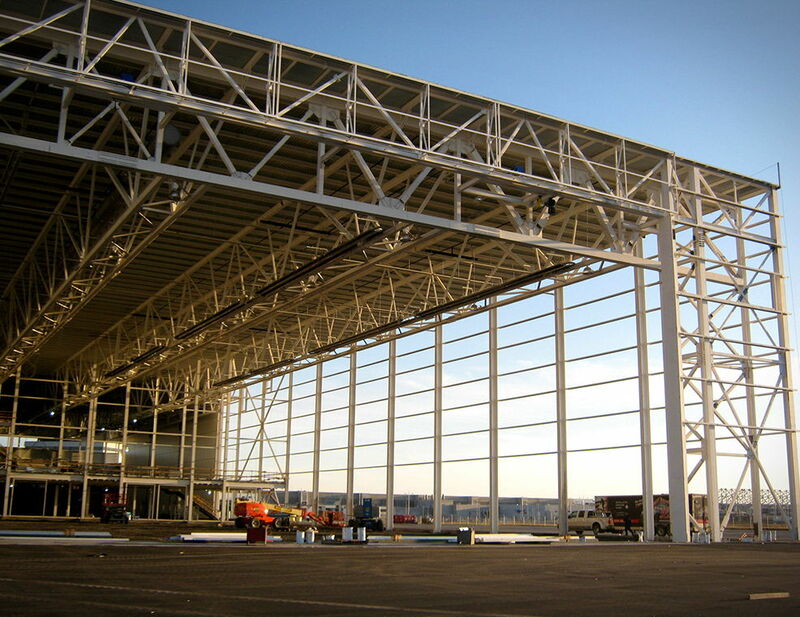 The small amount of main trusses frees up a lot of space under the roof, allowing workers to move and work much more easily on walkways, platforms and the technical grill, as well as promoting a better view, in the case of a sports center or amphitheater, for scenographic purposes. 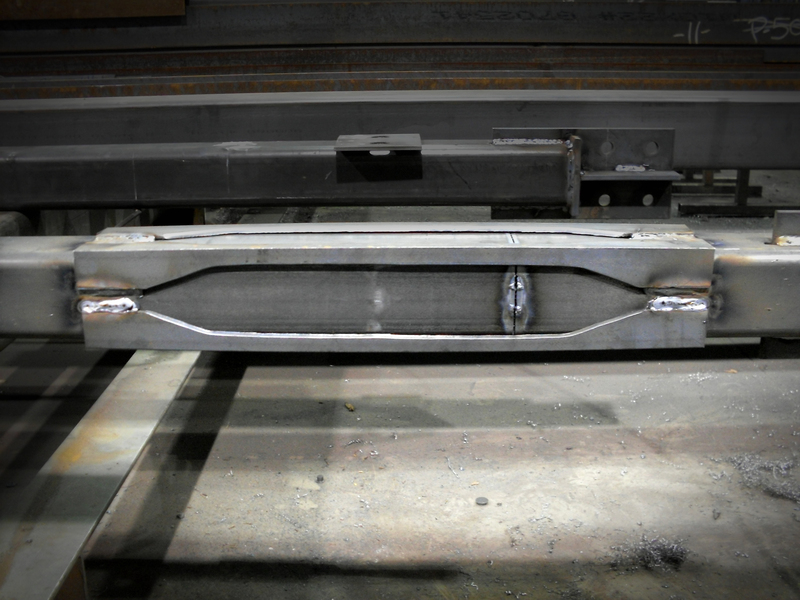 Instead of the traditional trusses, steel beams have been retained in the design of the secondary frames, allowing additional flexibility in the attachment of equipment and giving a striking size effect. Finally, Lainco trusses are specially designed to be assembled entirely on the ground and erected without temporary support. Therefore, elements of mechanics, lighting, ventilation, etc., can be installed at low height, thus promoting increased in safety and speed of execution. In designing a building, we not only find gravity loads, but also lateral loads including seismic forces. A new philosophy has been introduced which is to design more flexible buildings. This allows the introduction of new elements to control damaged areas of a building during an earthquake. To meet these requirements, Lainco has been working in partnership with the research laboratories of Quebec universities for the past few years to develop an innovative system: the ductile fuse. Among other things, this system has the advantage of reducing steel tonnage as well as the size of assemblies, thereby reducing costs. Finally, Lainco is a pioneer in the use of fuses in its designs. 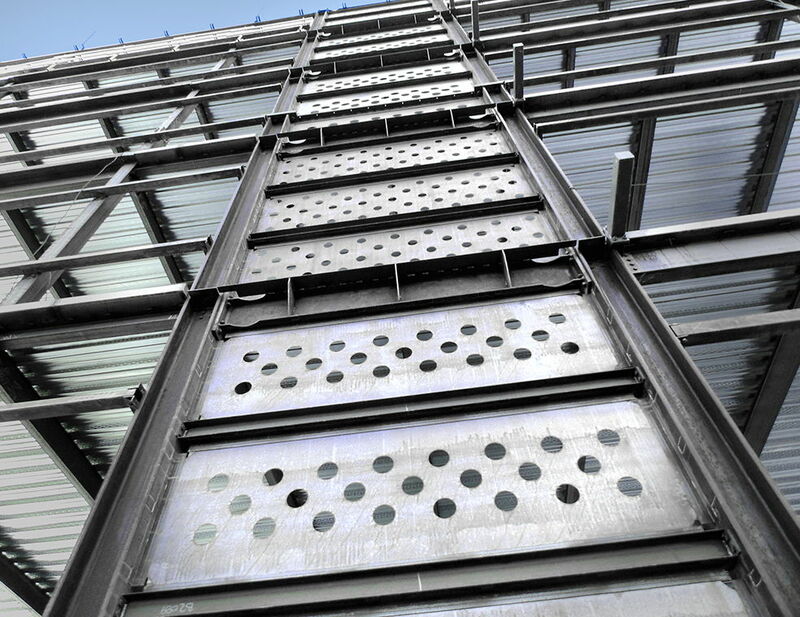 “Shear wall system made of ductile perforated sheet steel”, this system ensures the bracing of the building, it contributes to its horizontal and vertical stability. One of the many benefits, this product provides to the building, is that it replaces traditional vertical braces, giving much more architectural freedom. The connections between the walls of the partition and the facade must be subject of a specific treatment. When it is transverse, the wall has a stiffening role. This means that it stabilizes the building by joining two walls of facade. Longitudinal (ie built in the direction of the length of the building), the wall of the partition allows to balance the floors.